At Classy Plaques we are passionate about what we do! 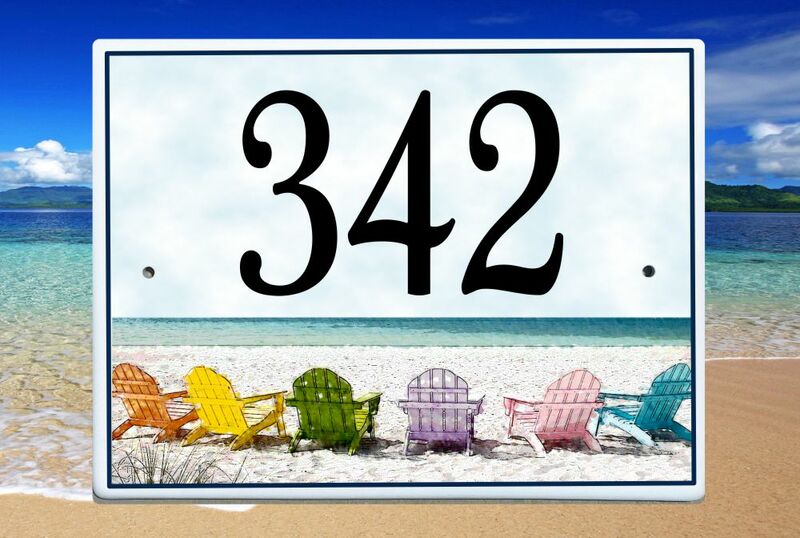 Our mission is to exceed your expectations and surprise you with an address plaque or house number sign that you'll absolutely love and enjoy. Our house sign far exceeded my expectations. It fits our home absolutely perfectly! Thank you so much ... we all love it." Our Story: In the beginning, back in 2006, we searched for ceramic bisque and products available from large ceramic bisque manufacturers. 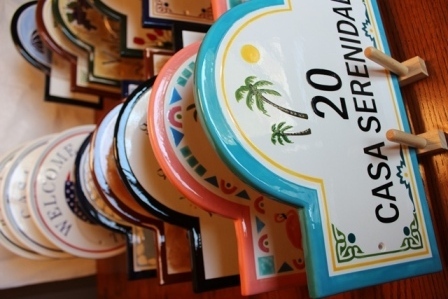 We ordered and tried numerous plaques but found that the ceramics available were not made with the quality we knew we wanted to offer for our Signature Series. Surprisingly, we also discovered that the shapes and sizes available were not what our customers wanted either. So, as the wise saying goes, "if you want something to last make sure you build it on a strong foundation". So we designed our first custom prototype and, after some searching, we found skilled craftsmen to create our first custom-designed mold. Made to our specifications by experienced artisans who are educated in their craft and understand the substance and quality of the raw materials used in their work, the result has been exclusive ceramic house plaque designs that are both unique and beautiful. The clay and materials used, along with the firing process have been specially formulated to create a finished bisque that is durable and inspired. We have since added porcelain plaque designs as well! And to our delight, these original custom designs have been well received by our customers! "I received the Tuscany Classy Plaques last evening. I think they are spectacular. (They are) just what I have been looking for. Your plaques will be mounted on the posts of my front gates and will be a constant reminder of all the fond memories of times spent in Tuscany. I will certainly recommend your plaques. Thanks for a wonderful unusual product." The Process: With custom molds and quality bisque as the foundation, each plaque begins its journey by being cast in our specially crafted molds. It is then placed on racks and allowed to dry in a controlled environment for up to 5 days. Your address plaque is then placed in a kiln and slow-fired at carefully monitored temperatures for several hours. After this firing process is finished, the plaques are cooled and then inspected for quality. We are also looking for those subtle characteristics that will make each plaque unique. Any that do not pass our inspection are tossed out. Now we go to the artist's studio where your custom ceramic house plaque is gently cleaned and dried. It is then individually created by one of our experienced artists who carefully follow the design, colors, and style you've chosen. And now ... in a final inspection, experienced hands meticulously prepare your piece for one final trip to the kiln where it is kiln-fired a second time to ensure durability and beauty. 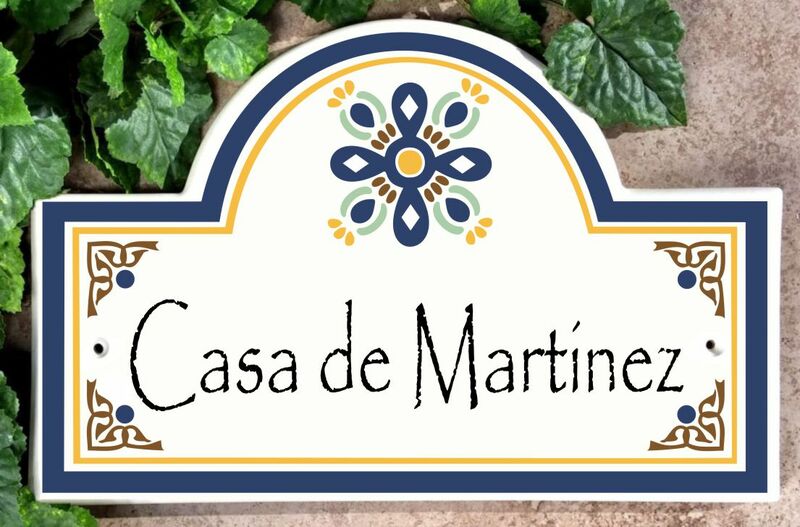 Home truly is where the heart is and we look forward to the extraordinary experience of crafting a thoughtfully inspired house plaque for your home today! Thank you for choosing Classy Plaques!